Want to show off your wicked Boston smarts? Here’s everything you need to know about Beantown. 1. 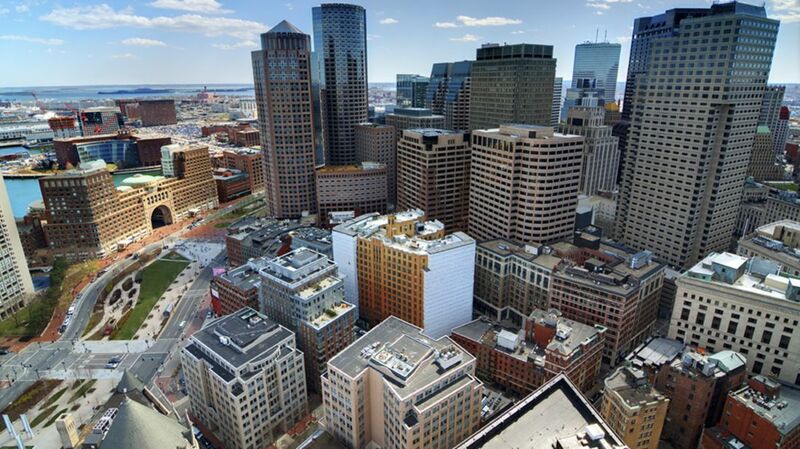 Like plenty of old American cities, Boston is named after a (relatively smaller) town in England. 2. Ray Flynn was Boston’s mayor in the 1980s, but he may have never gotten the gig if he hadn’t been cut by the Boston Celtics in 1963! 3. The John Hancock Tower is the city’s tallest building, but more impressively, it’s also the site of the world record for catching grapes. 4. Paul Tavilla gulped a grape dropped from 788 feet! 5. The first American lighthouse wasn’t built in Maine, Cape Cod, or Nantucket, but right in Boston Harbor. 6. Boston Common was declared America’s first public park in 1634. 9. Happy Hour is in good company. From 1659 to 1681, it was against the law to celebrate Christmas in Boston. The Pilgrims thought the holiday had been corrupted. 10. The largest art heist in history occurred in Boston when 13 items worth about $300 million were stolen from the Gardner Museum. 11. How’d the crooks sneak in? By dressing up as police officers. 12. Speaking of big crimes, in 1950, thieves robbed the Brinks headquarters and made off with $2.7 million. That’s about $26 million in today’s dough. 13. The Fig Newton is named after the Boston suburb of Newton. 14. Boston was also home to some of the country’s earliest lotteries. John Hancock himself organized a lottery to help restore Faneuil Hall following a fire. 15. The famous statue in Harvard Yard? It’s not John Harvard. No one knows what Harvard looked like, so a student named Sherman Hoar sat in for the sculpture. 16. Don’t even try painting your shed Fenway Green. The Red Sox have patented the shade. 17. Don’t be fooled by the famous Citgo Sign outside Fenway Park, either. The closest Citgo is nearly 2 miles away. 18. During the Boston Tea Party, protestors dumped more than 92,000 pounds of tea into Boston Harbor. That’s enough to fill 18.5 million teabags! 20. The Boston Tea Party wasn’t an isolated event, either. Three months after the first shindig, 60 men boarded the ship Fortune and dumped 30 more chests of tea. 21. In 1919, a tank holding 2.3 million gallons of molasses exploded, sending a 15-foot wave through the streets and killing 21 people. 23. Thanks to Poe’s anonymity on the cover, copies of Tamerlane are insanely valuable. One of the few surviving copies fetched nearly $200,000 at auction in 1988. 24. You’d think the Ponzi scheme was a Wall Street invention, but Charles Ponzi actually worked on Hanover Street in Boston. 25. In the 19th century, it was supposedly illegal to take a bath in Boston without a prescription.